Bauble Disaster will feature a global Highscore list, unique Achievements and a selection of great and well known christmas songs performed by Kevin MacLeod. 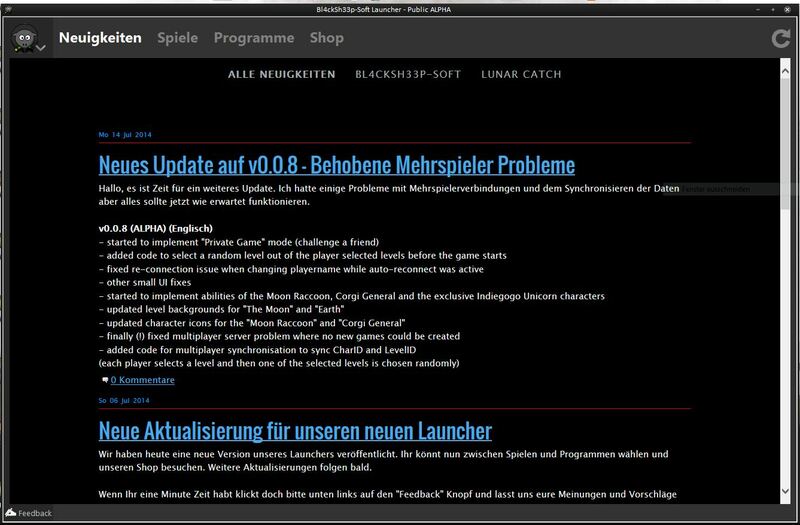 Our new Bl4ckSh33p-Soft Launcher is now available as public ALPHA.It will be used to show all important news and updates in one place and update our future games and software. It's completely free and we would love to hear your feedback. 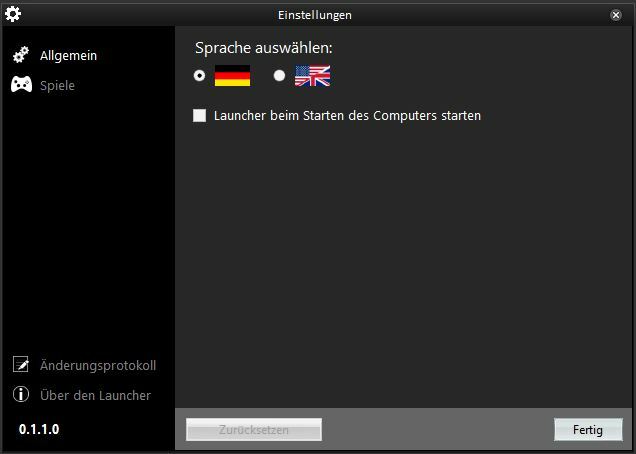 The launcher is available in German and English. The latest beta build of Construct 2 added support for Crosswalk, a possible new way to publish games for Android. We released our first mobile casual game today! 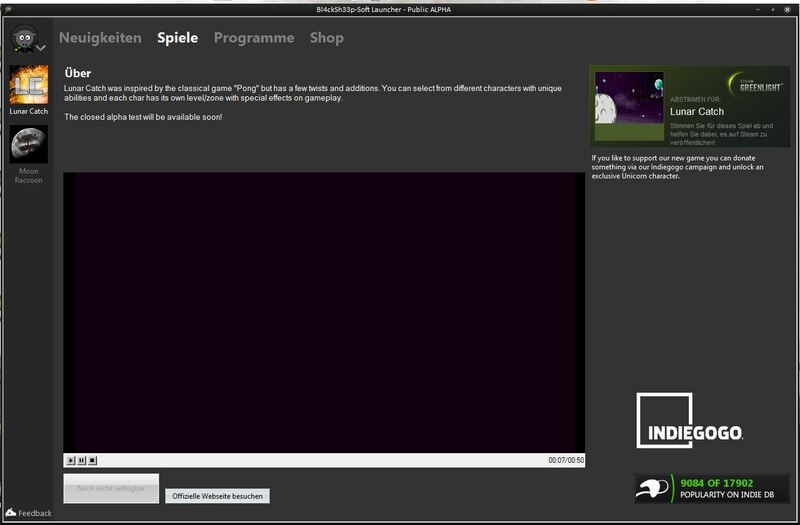 It is also available for Windows, MAC and Linux. Some details about issues we had when we tried to create a native Android app. A short overview of our current progress on Bauble Disaster and recent problems.